With over two and a half million participants worldwide since 2009, Warrior Dash reinvented the concept of a 5k run and created a revolution: Warrior Nation! Take down 12 world-class obstacles and test your strength against the muddiest obstacles around, and venture through mud-caked backroads and uneven terrain as you race over three miles to the finish line. The enjoy listing to a live DJ, have some beer, grub on food, and experience warrior games all day long before and after your race! The Banff Centre Mountain Film Festival World Tour for 2019 returns to Austin with two evenings of the best films shown at the 2018 Banff Centre Mountain Film Festival in Alberta, Canada! The films feature travel and adventure in distant lands as well as adrenaline-fueled action sports films. Each evening will feature a different selection of movies. No repeats! Join us on Saturday and Sunday evenings, March 2nd and March 3rd at the Historic Paramount Theatre in downtown Austin! Vino Vinyasa classes bring together vinyasa-based yoga and fun wine facts through creative yoga poses. Each hour-long educational class ends with a comparative wine tasting of Fall Creek wines, inviting you to mindfully taste what’s in your glass while applying what you learned through the poses! On the First Thursday of every month along South Congress, shops stay open until about 10:00 p.m! Some of the stores have specials, sales, give out drinks, and some of the restaurants and bars have drink specials as well! Local vendors set up on the sidewalk and have anything from handcrafted jewelry, art, and clothing to unique Austin artifacts! It feels like a big neighborhood block party! Not to mention there are also Musicians that play along the street and that South Congress Hotel usually has a party going on with live music, drink specials, and more! If your a big fan of smokey barbeque, as most of us do in Texas, don’t miss this chance to see and taste some of the best barbeques in Texas! At BBQ Austin, cities from all over Texas send their best bbq teams to compete in the Invitational Division for the title of “State of Texas BBQ Grand Champion.” Additionally, all teams compete for the title and purse of “BBQ Austin Grand Champion.” Not to mention you can also enjoy free samples! If you want to stay in Austin this spring break, then head out to SXSW! The South by Southwest® (SXSW®) Conferences and Festivals offer the unique convergence of original music, independent films, and emerging technologies. South By San José is returning to the Hotel San José and Jo’s parking lot with live music, local vendors and good times. The party is always and forever free to attend! Come out and play with colors and feel like a kid again at the Holi Festival of Colors! There will be live music performed by Dj Dhol Player, Bollywood dance performances, and delicious authentic Indian street food! If you don’t know how to Bollywood dance, there will be dance workshops so you can participate in their famous Holi Rain Dance! The best part is that kids under the age of 12 are free! Austin Tour Company teamed up with Capital Cruises and 365 Things Austin to bring you The Brunch Boat! A brunch-time party cruise on Town Lake! Enjoy great music (Resident DJ), food (pizza, breakfast tacos, chips, queso, and salsa), and beverages (Bloody Mary’s, coffee, Topo Chico, beer and Mighty Swell) aboard a fabulous boat with air conditioning, bathrooms, and a gorgeous roof deck. You can also get great pictures and views of the Austin skyline from the boat roof deck! This amazing deal is only $49 per person and is an event for people 21+ only. Dinosaurs don’t like to play out in the cold! Zilker Botanical Garden’s Big Dinosaur event of the year is back again! Come on out and assist them without science-based activities covering topics such as plant evolution, a dinosaur parade, a scavenger hunt, etc. $3/non-resident adult, $2/resident adult, $1/children and seniors. Rodeo Austin is a family friendly event and offers something for everyone! The top-ranked athletes in each rodeo event compete in Rodeo Austin for the title of Champion! In an action-packed two hours, fans enjoy extreme competition, bullfighting entertainment, and the fan-favorite Mutton Bustin’. There will be a carnival, shopping, food and a variety of shows and special attractions. Rodeo Austin also hosts over 100 live music performances during the fifteen-day Fair and Rodeo with a variety of music from Texas country to punk rock! Exhibitors from Texas and across the nation travel to Austin each year to show their animals as well! Fall Creek Vineyard and Antonelli’s Cheese are bringing together a favorite combination of food and drinks: cheese and wine! Join them on Friday, March 2 from 6-8 pm for a delicious wine and cheese class on the art of pairing wine and cheese. They will be serving six artisanal kinds of cheese from Antonelli’s with six of Fall Creek’s favorite wines! Come out for a chance to taste our way through cheesy, vinous education! 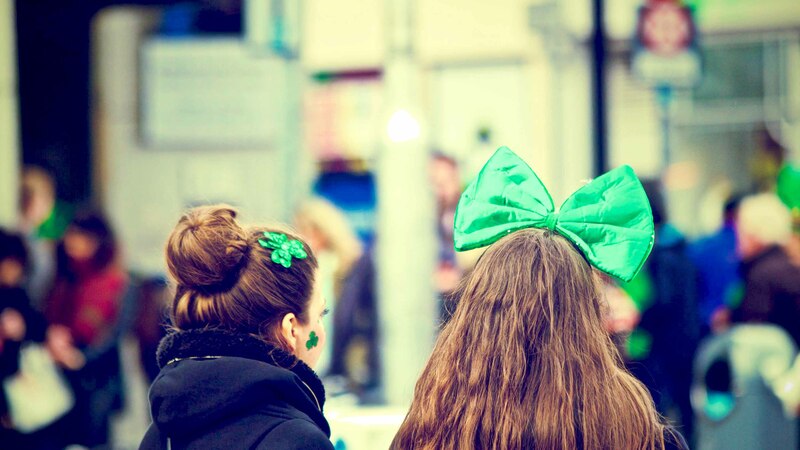 Get ready for St. Patrick’s Day 2018 by grabbing your friends and family for an epic weekend of Irish celebration! There is a variety of St. Patrick’s Day events going on in Austin from block parties to family-friendly events. Pioneer Farms, hosted by the Celtic Cultural Center, is a festival that honors the patron saint of Ireland in a more traditional way! If block parties with leprechauns and kegs of green beer are more your style, then head to Fourth Street in downtown Austin! So stay close to it all with JW Marriott’s St. Patrick’s Day Package which includes everything you need to help survive the weekend! This unique tournament will test your strategic ability to catch qualifying species of fish in Lake Kyle such as Large-Mouth Bass, Sunfish/Perch, and Channel Catfish! The Grand Prize is extremely Grand: a three day and two night stay in Rockport! 100 percent of the proceeds from this tournament will go to the Kid’s Fishing Clinic & Derby and Lake Kyle Development. This fishing tournament is open to all adults (18 and older) with a valid Texas Freshwater Fishing License. Join thousands of dogs and their best friends for a scenic stroll, free samples galore, and amazing advice from top vets and trainers. This year’s costume & team theme is Carnaval! There will also be lots of cool selfie backdrops for you and your dog! Dogs will also be receiving awards such as Team Raising the Most Donations, Largest Team, and Best Team Costumes. The grand prize winner will receive two SXSW wristbands for the individual biggest fundraiser from a team! You can also save $10 when you pre-register online! You asked for it, you got it. This spring, North America’s premier open-wheel racing championship is finally coming to COTA’s hallowed Stars and Stripes to write the first chapter in a brand new racing legend. International rock superstars MUSE join the party Saturday night, bringing their electrifying live show to Austin’s big INDYCAR debut. Come shop with Dripping Springs fantastic vendors at the 8th annual Wildflower Spring Market! Vendors From around the state will be selling the best and clothing, jewelry, home decor, garden gifts, Texas handmade, accessories, gifts for the guys, art, photography, candles, yard art, soaps, and so much more. Admission is $5 or $4 with your non-perishable food donation to Helping Hands. Admission is suitable for both days, and kids 12 and under are free. They’ll have free parking and hourly door prizes. See you at the show! Watch the Longhorns Cross Country, and Track & Field team take on other colleges in the Clyde Littlefield Texas Relays! This premier track & field event brings together the best high school, college and professional athletes from Texas, the U.S. and the world. The Urban Music Festival is Austin’s only music festival focused on R&B, neo-soul, and hip-hop music! UMF has had over 500 musicians play on the Auditorium Shores, and 10,000 festival attendees come to the festival! This year’s festival will be a fun-filled weekend full of great entertainment and community participation! All are welcomed to join in the fun! Join Leander Parks and Recreation as they host their annual Park Kite Festival in the Spring of every year! Park Kite Festival will be taking place on March 30th, 2019 and will be located at Devine Lake Park. This tremendous free family-friendly event takes place from 11 am – 5 pm. There will be awards for kiting events, kite and food vendors, and lots of high flying fun! The Pflugerville Parks and Recreation Department will celebrate the day with a single focus on city recreation programs and activities, including outdoor fun! City residents may sign up for summer camp, swim lessons and more! Attending this event will help you get more information about new spring and summer classes. You can also participate in demonstrations of dance classes, archery and more! Make sure to stay tuned for more fun activities that may come up! Held each year in March, the ABC Kite Fest is one of Austin’s most beloved, family-friendly traditions! ABC Kite Fest, held at Zilker Park, creates day-long activities for all ages. Some of these events include a traditional kite-flying contest and showcase, a fun run and MossFest, and a children’s music concert! Soar into spring and join thousands of Austinites for a day filled with kite making, flying and gazing!